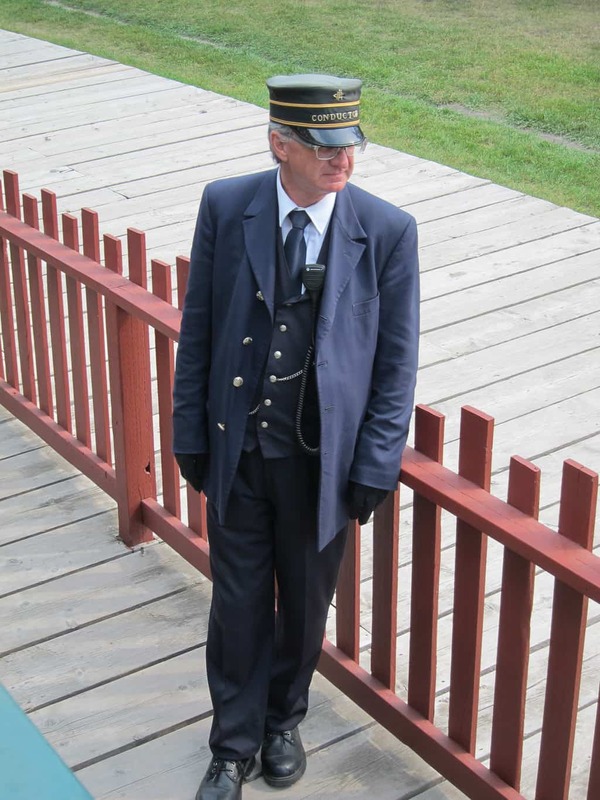 This was the third year for me being in Alberta for the Heritage Day. 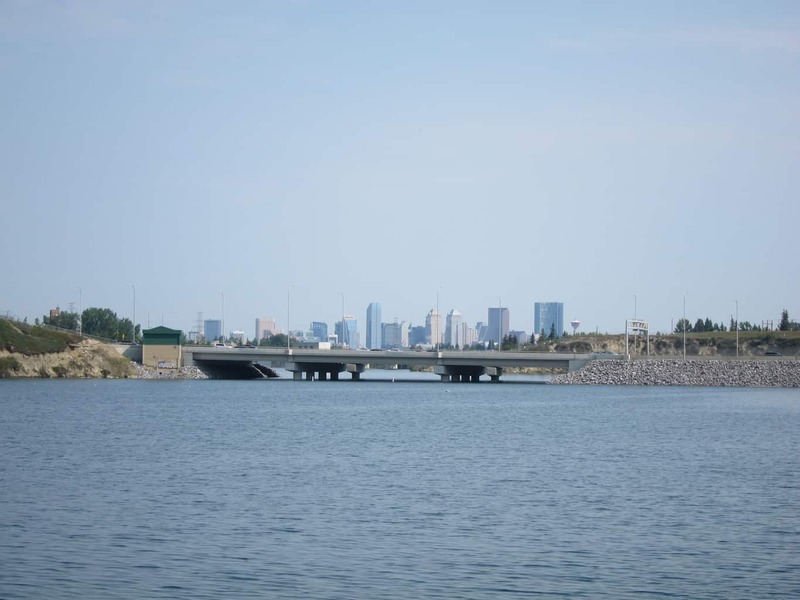 In previous years, I never cared to participate in any events (probably due to my disappointment in the scale of festivals (besides Stampede) taken place in Calgary). 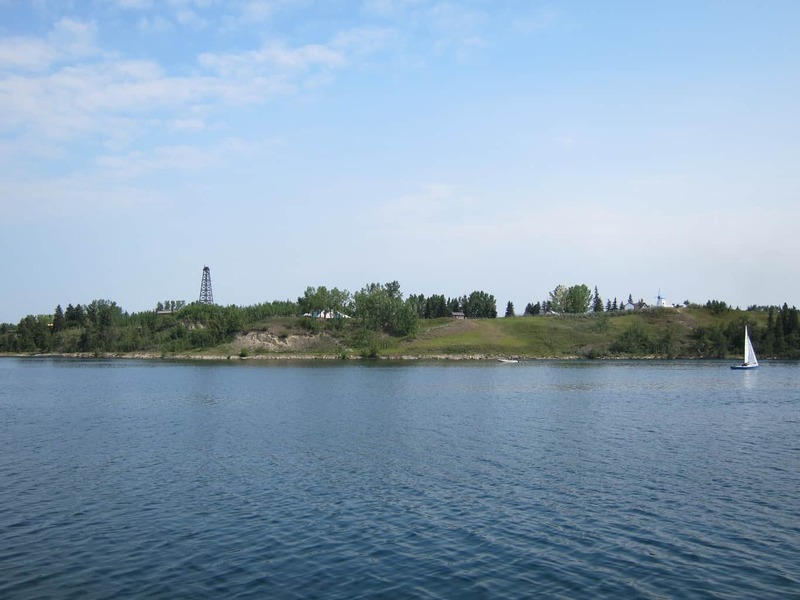 However, this year, I decided to celebrate the holiday by escaping to the most fitting location, Heritage Park, where I could relive Alberta’s history and learn all that makes this beautiful province unique. On this beautiful summer day, a mixed crowd of adults and children flooded through the entrance gate. 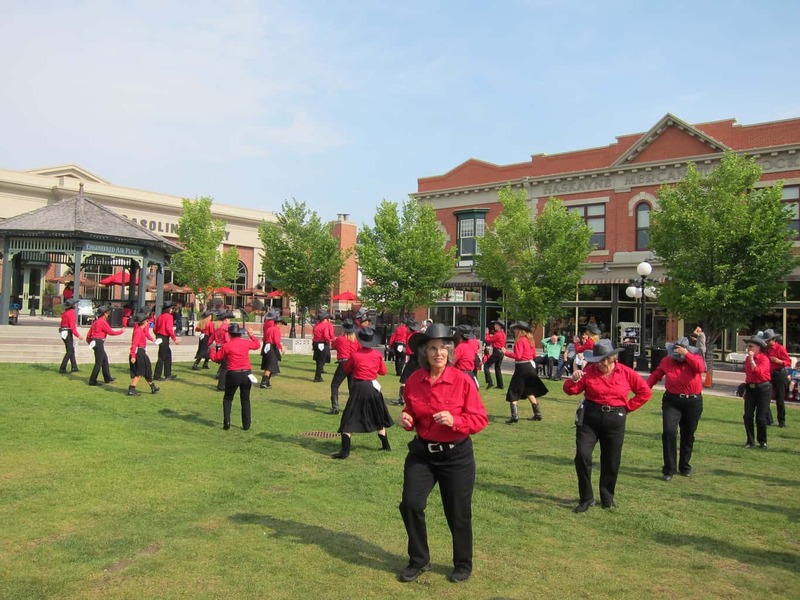 My friend and I arrived at 10:30 AM, welcomed by the Chinook Country Line Dancers and the rhythm of the country music. We slowed down our footsteps and enjoyed the performance before heading towards the gate. As we followed the trail towards the historical village, we heard the rumble of the steam train. At my last visit, I didn’t get a chance to ride the train; since then, I promised myself to come back one day and experience it. We hopped onto train at Midnapore Station and admired the scenery as the train charged over the mile long track. After a short 5 minute, the train arrived at Shepard Station, which provided an easy access to the S.S. Moyie (The letter “S.S.” stands for steam ship). 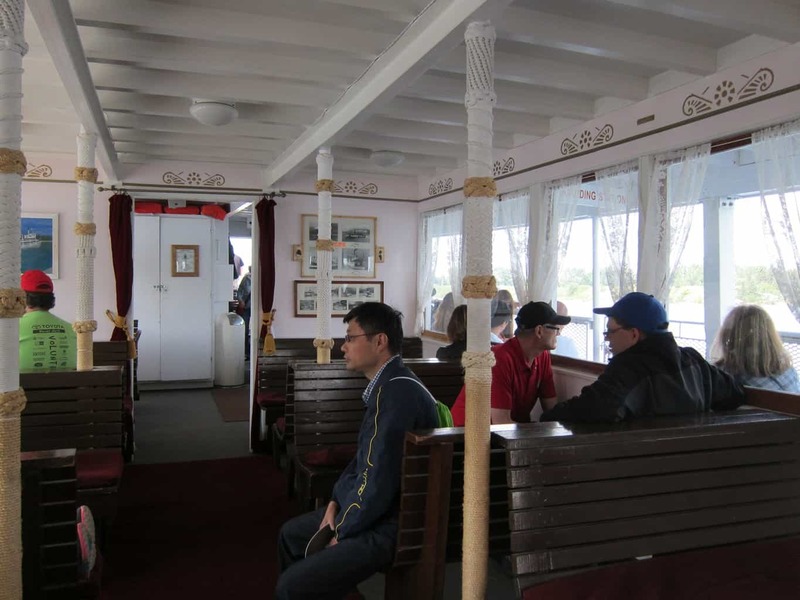 Built in 1898, the S.S. Moyie was used to ferry passengers from Kootenay to Nelson, B.C. The ship was named Moyie after a prosperous mining community in the East Kootenay region, which got its name from the French word for wet, mouillé. 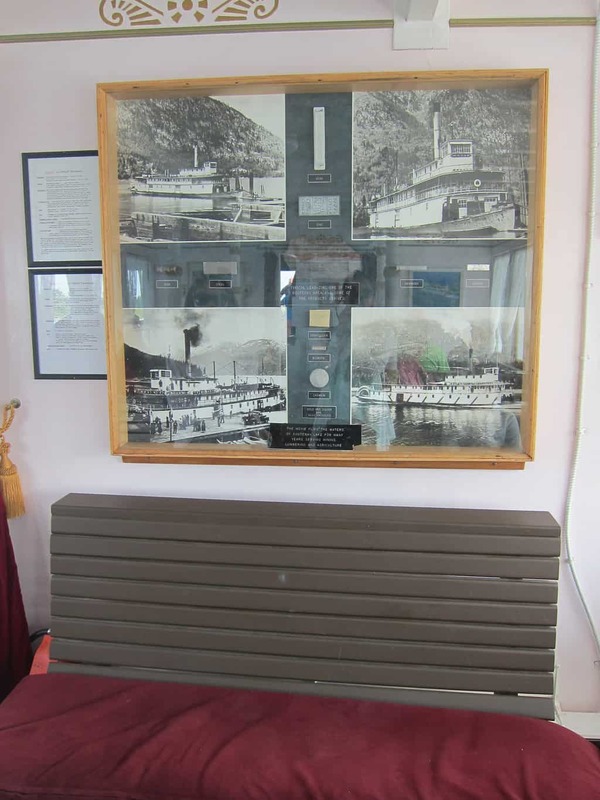 The original S.S. Moyie was retired in 1957 as the last operating passenger sternwheeler in Canada and was restored and turned into a museum in Kaslo, BC. 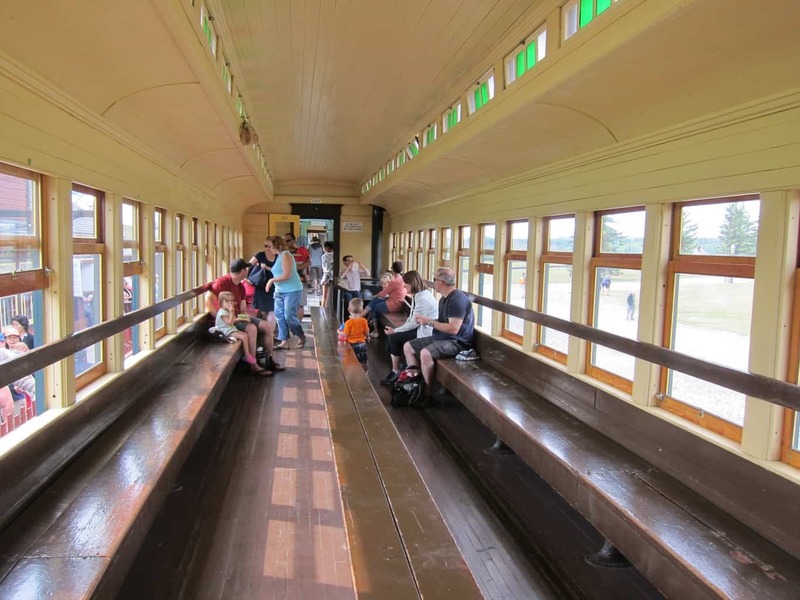 The one in Heritage Park is a half-sized replica, which uses diesel engine and can carry up to 200 passengers! 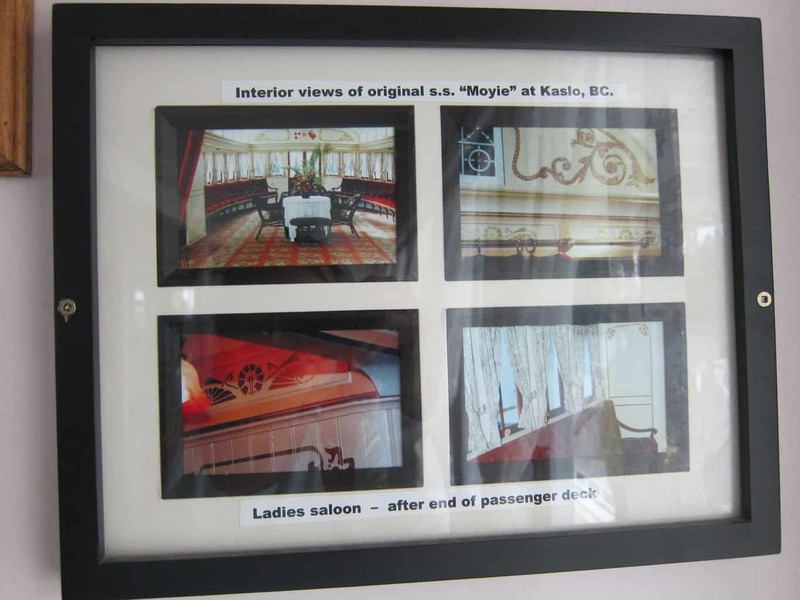 Inside a passenger’s cabin on the main deck, the interior was furnished to replicate the original S.S. Moyie. 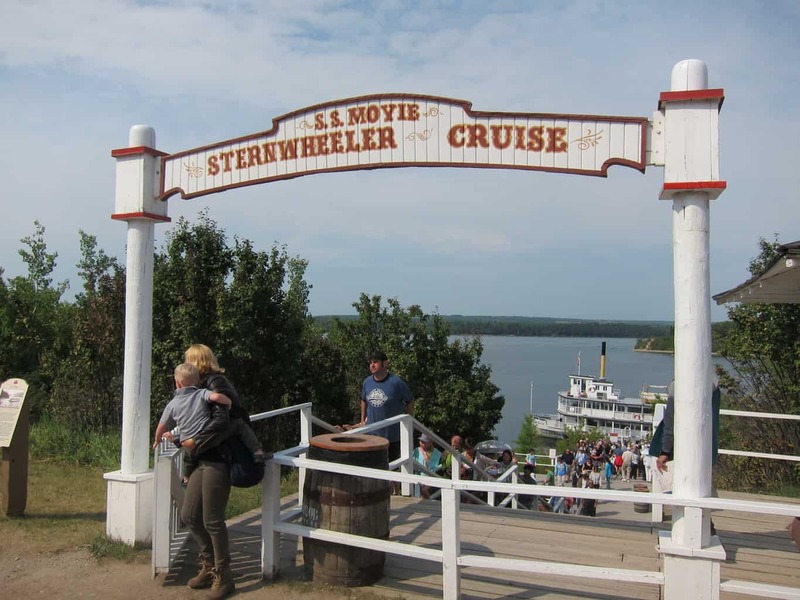 On the wall, you could find pictures of the original sternwheeler as well as the details of the difference between Heritage Park vs the original S.S. Moyie. 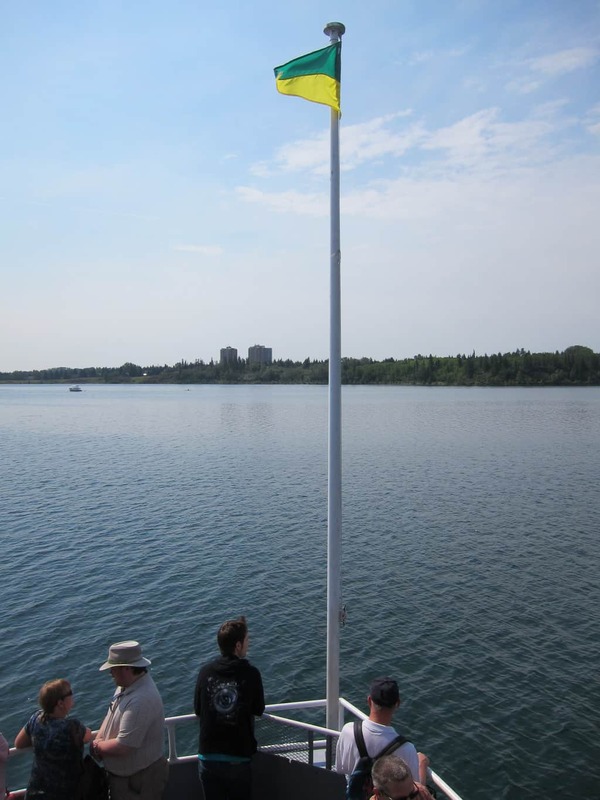 Go to the upper deck for the superb scenic views as the ship sailed across the Glenmore Reservoir! 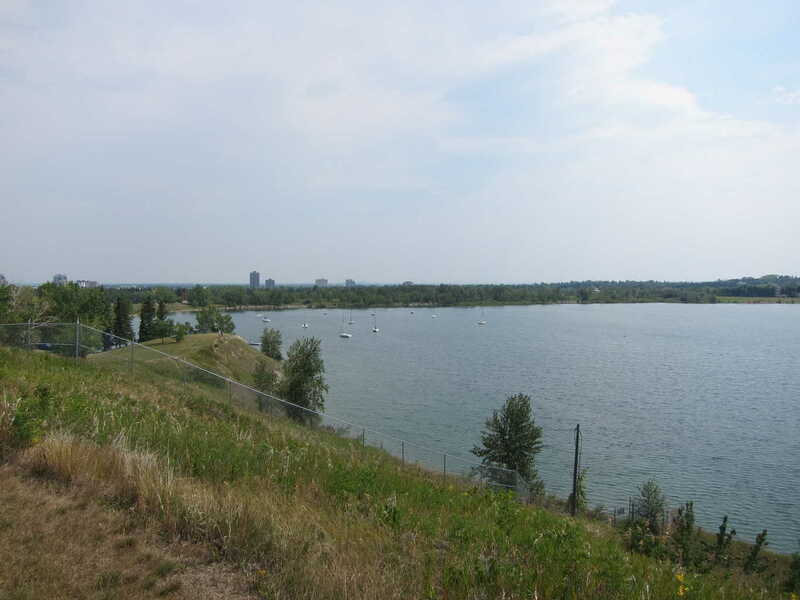 Within the 20 mins aboard, the pleasant summer breeze and the great view of the surrounding golf course and Glenmore Park would get your calm on in the midst of busy life. 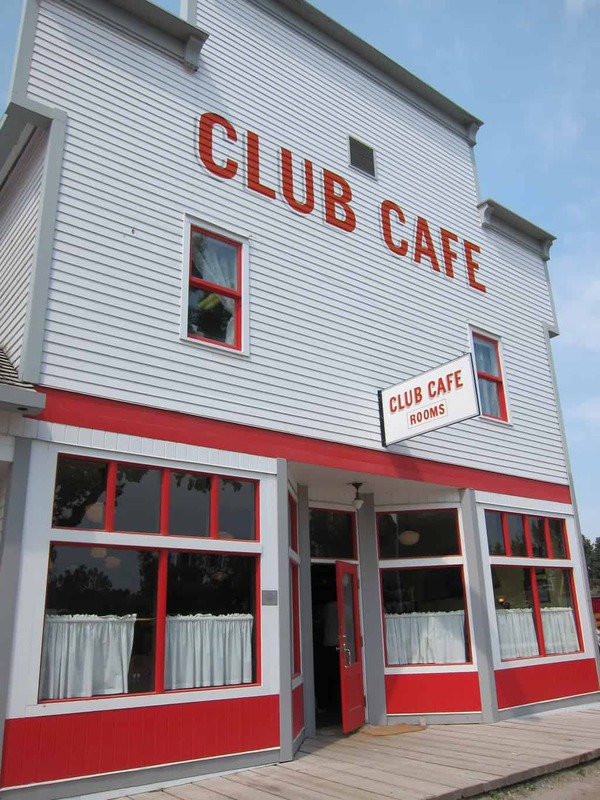 At noon, we stopped by the Club Cafe for a quick bite. The facade of the establishment resembles Wong’s Public Lunch in Olds, circa 1918, the interior features a lunch counter, curtained booths and oriental decorations, all of which were commonly found in Chinese cafes in southern Alberta during the early years of the 20th century. Instead of oriental dishes, these cafes usually served western style foods given their customers were mostly Caucasian males. 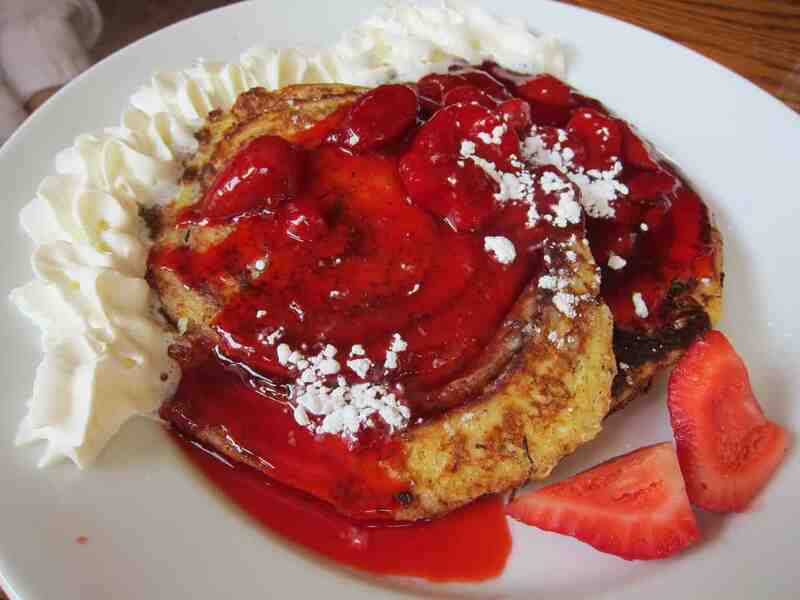 We shared a french toast cinnamon bun to boost our energy before continuing our journey. 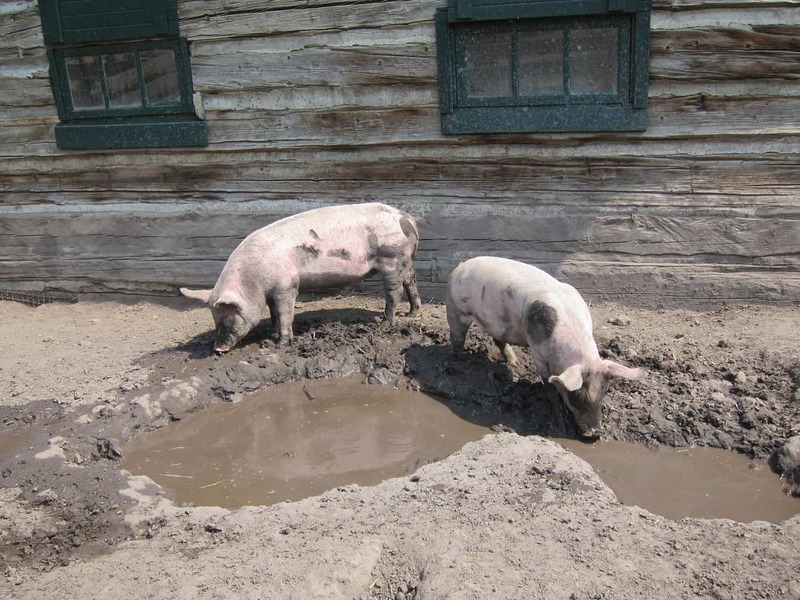 Besides revisiting some old sites, we discovered some unexplored interesting locations at this visit! 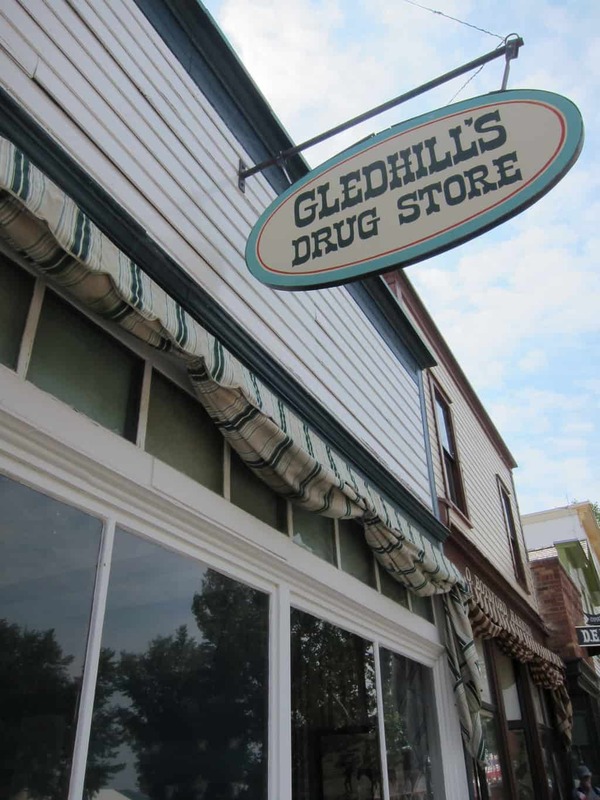 One of them was the Gledhill’s Drug Store. 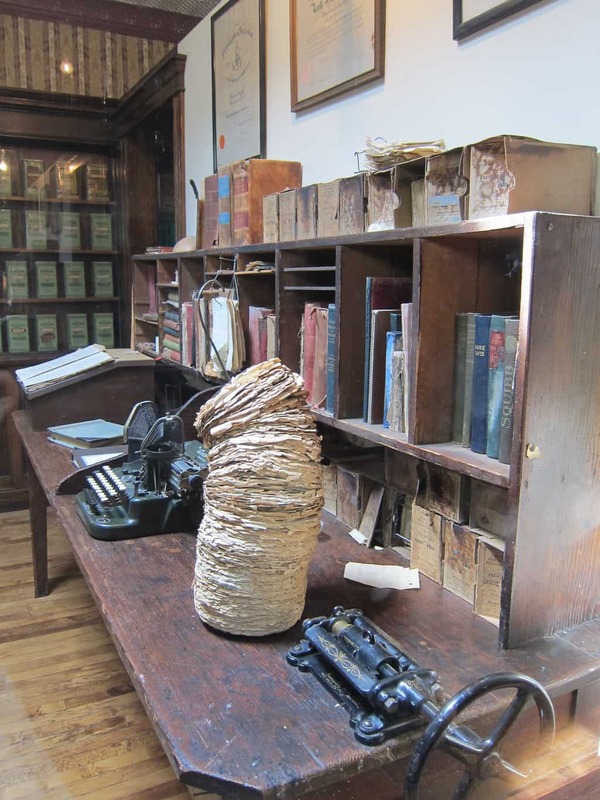 The pharmacy exhibited the typical working environment of the druggists in the early 1900s. 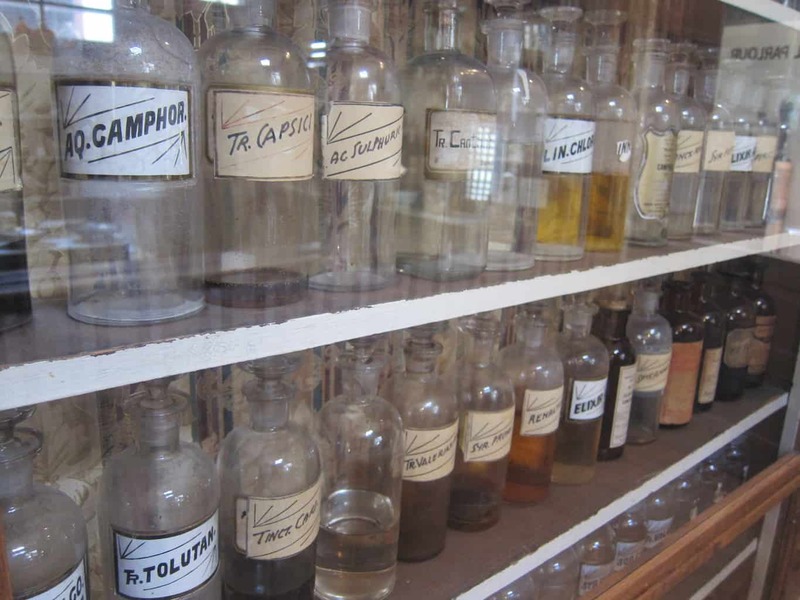 It’s not surprising to find shelves of medicine bottles. 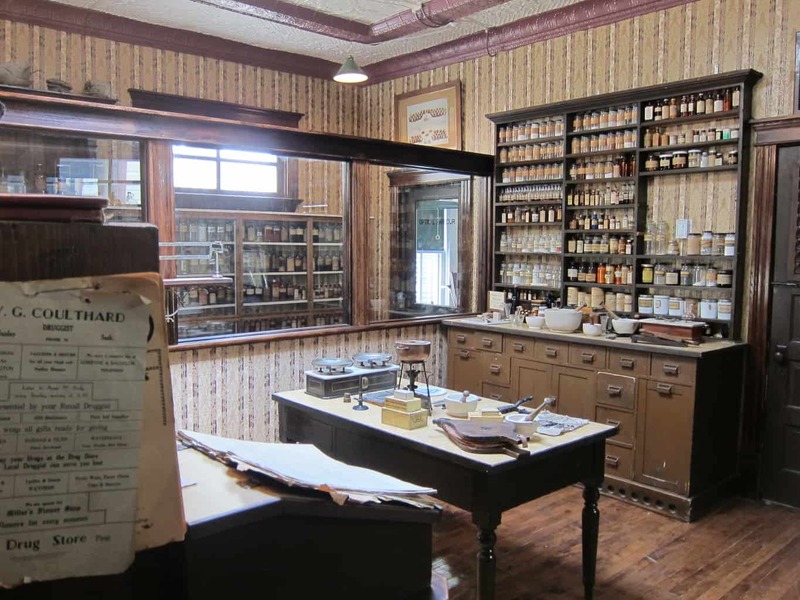 However, since most druggists could not live on the income generated by simply dispensing medicine, most drugstores also sold toiletries, candy, tobacco, brushes and razors! 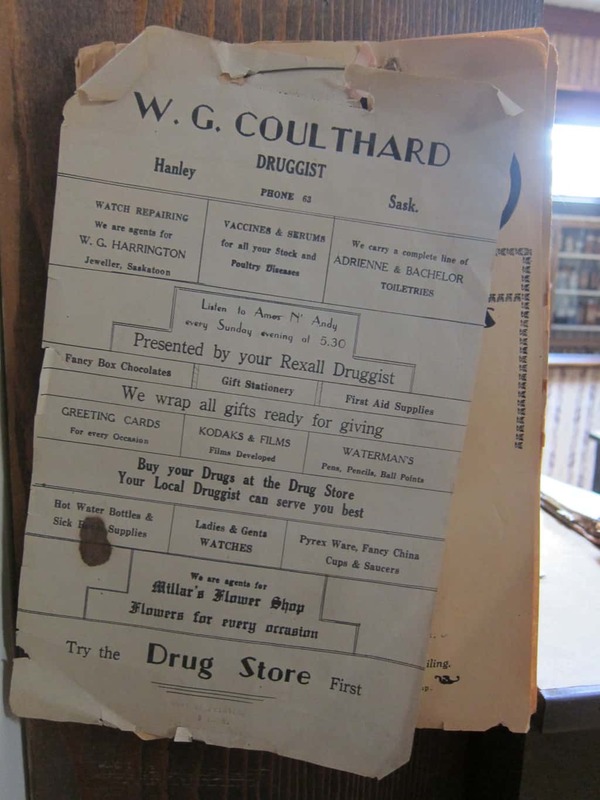 Hmmm, in a way, it was quite like the drug marts nowadays (i.e. Shoppers and Walgreens). 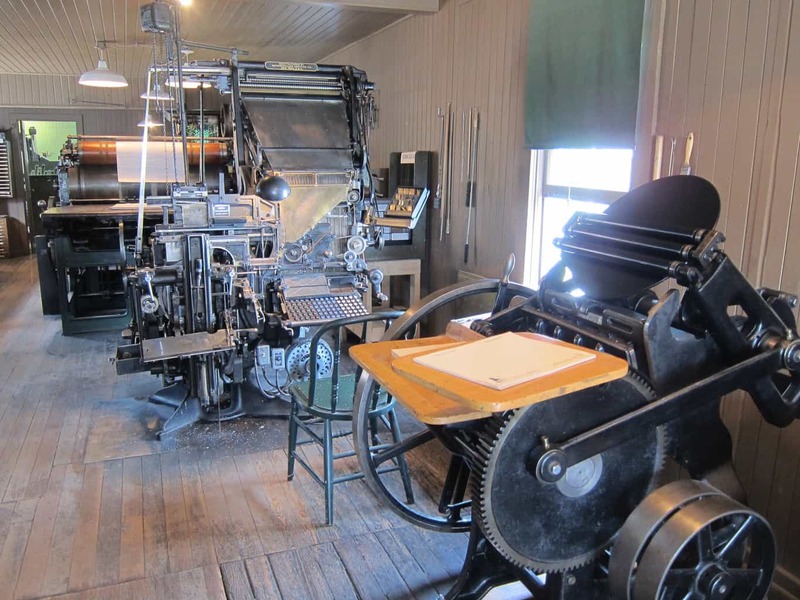 Next, we stumbled into Strathmroe and Bow Valley Standard, an example of a typical pre-1915 prairie newspaper plant and office. Can you believe that it is still in service? 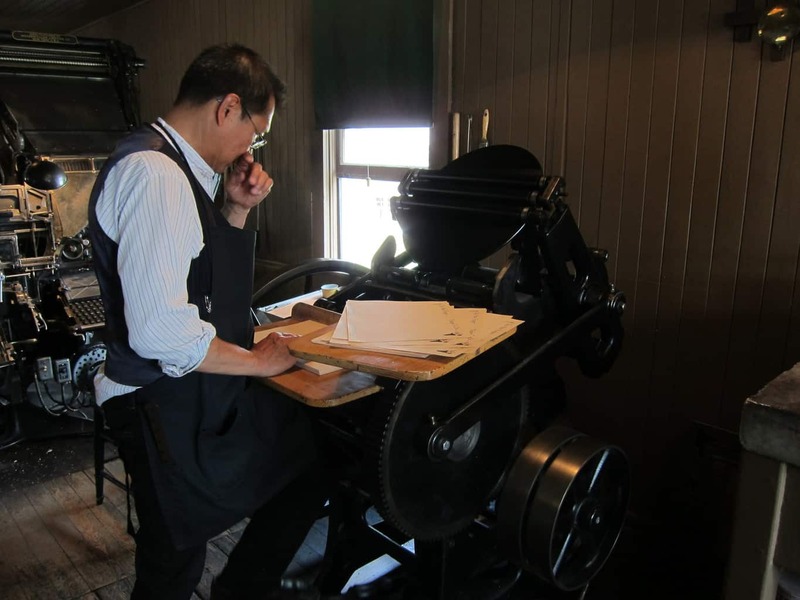 Haha just publishing newspaper for the Heritage Park! 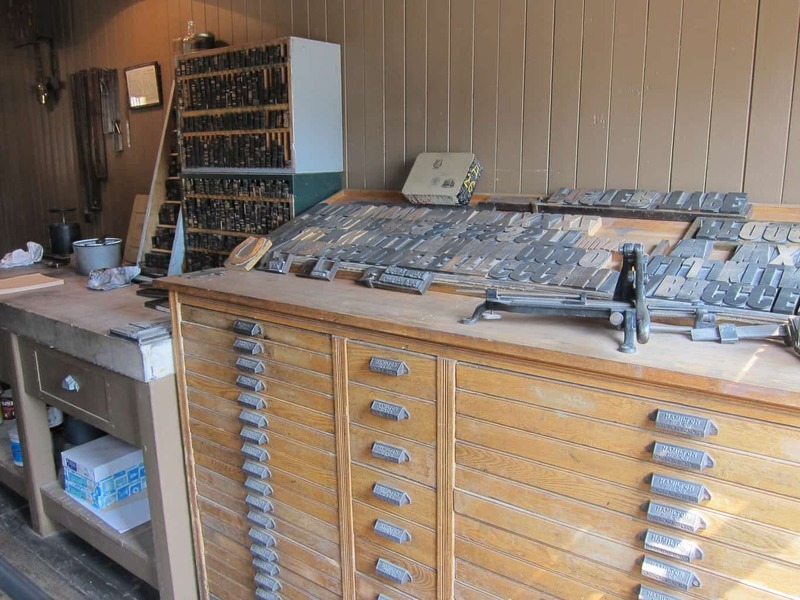 What impressed me was the 100-year-old seven-ton Wharfedale press that had formerly been used in production of the Calgary Herald. 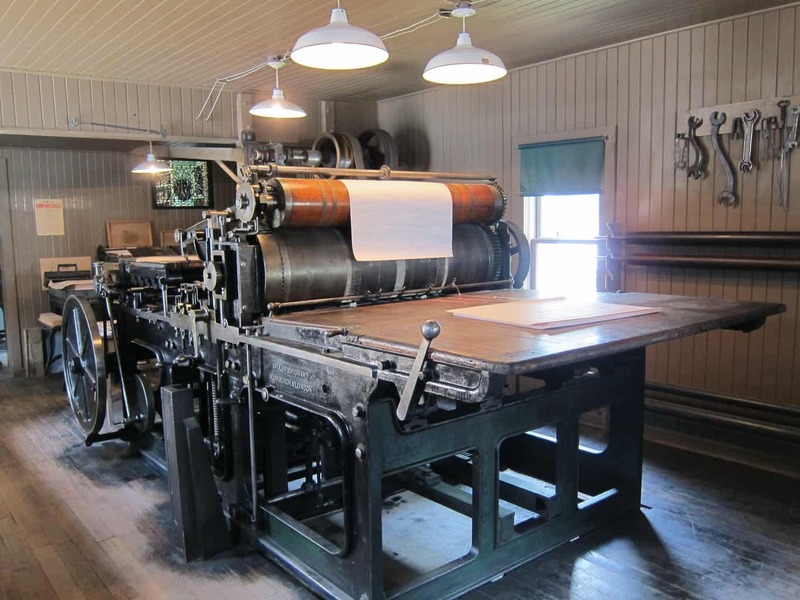 We also found other equipments that was used in the typical print shops 😉 Smaller equipments for smaller prints. 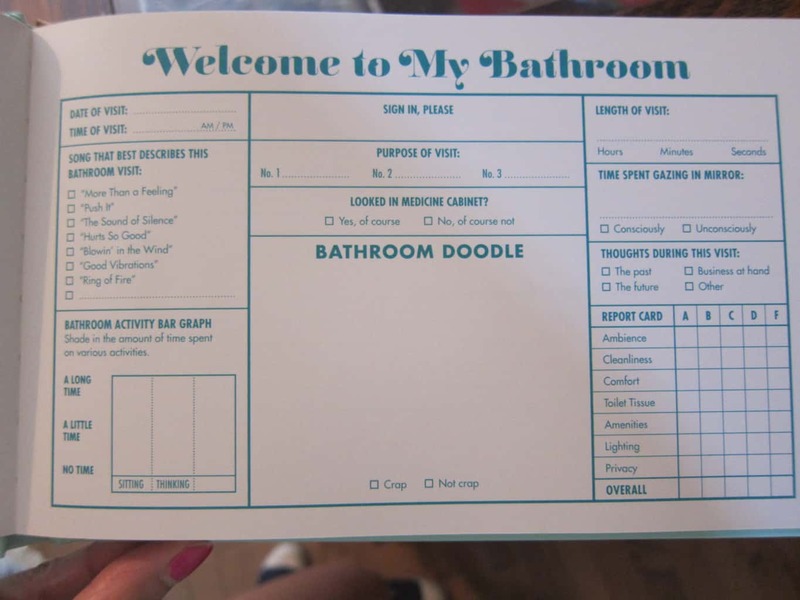 They sold several merchandise including Heritage Park notepads, Heritage Park Tribune and other witty old posts. 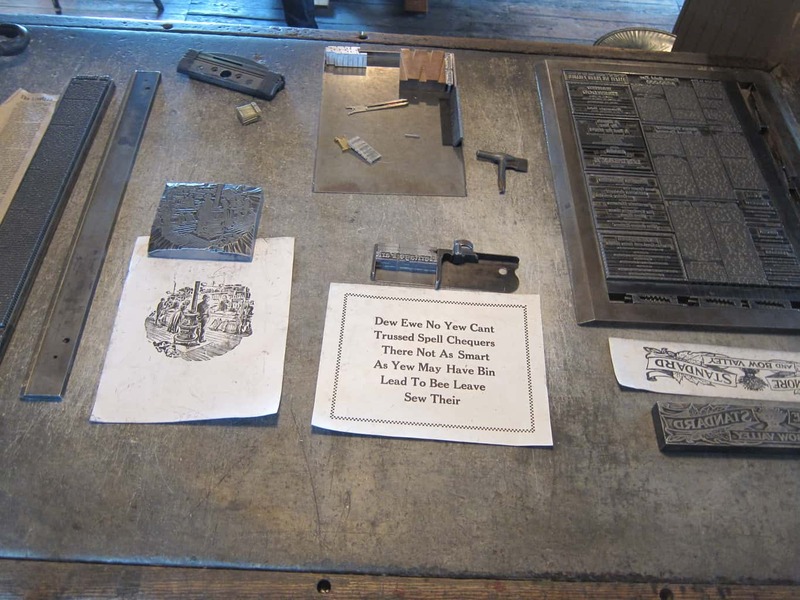 I bought copies of newspaper (with stories from 100 years ago) printed by the Wharfedale press as a souvenir, by spending only 50 cents! Walking in the blazing sun almost made us suffer a heat stroke. We tended to stay indoor, but managed to catch a few outdoor performance. 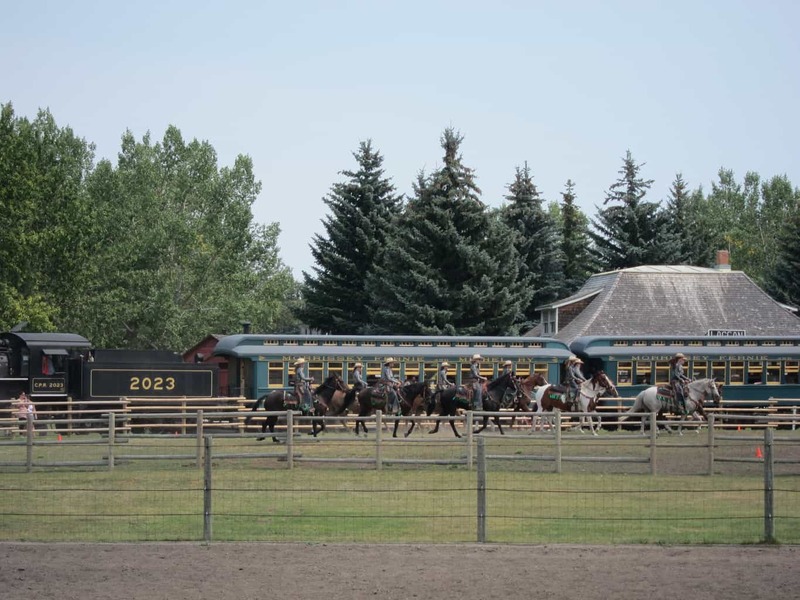 The 15-min musical ride at the rodeo grounds behind Burn’s Barn was worth a watch! 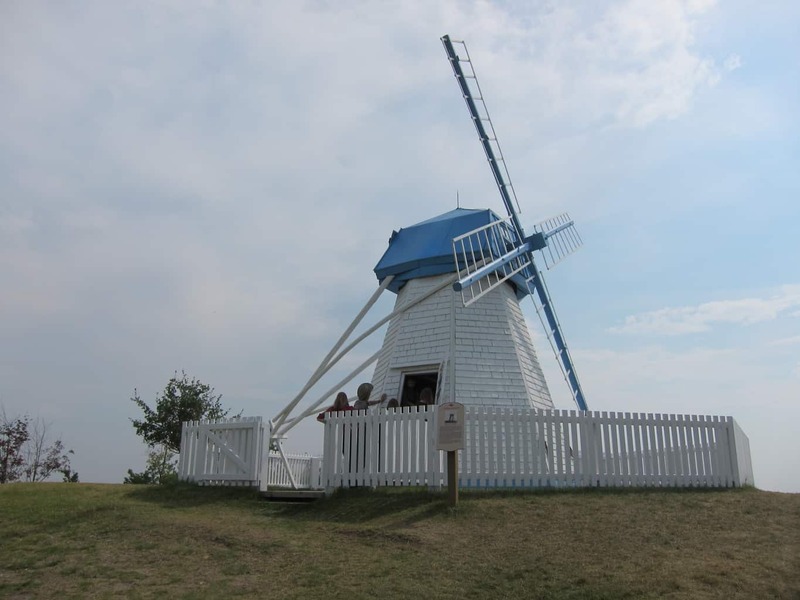 We ended the day by climbing up the hill to visit the Bruderheim Windmill, which was built in the 1920s on a farm near Bruderheim, Alberta to make rye bread. Looking down from the hill, we found some boats sailing along the river. 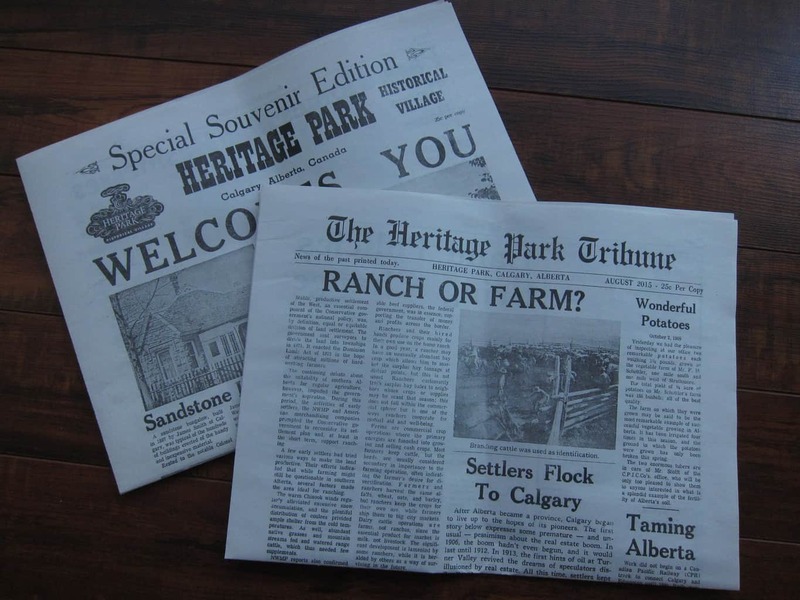 A day at the Heritage Park never disappoints 🙂 There is no better way to celebrate Heritage Day than at Heritage Park! 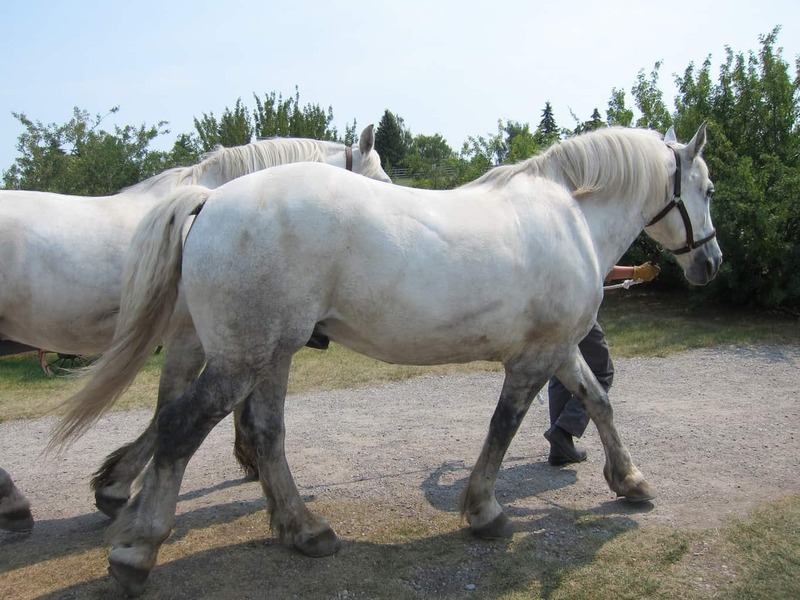 – Historical Village: daily from 9:30am – 5pm, from mid-May to early September, then weekends only until October 10. This post is a part of the #TheWeeklyPostcard, Travel Photo Thursday, Weekend Travel Inspiration and #WeekendWanderlust linkups. For more travel inspirations, please click on the images below.